Say that three times fast! Back in 1854 no one could even say it once slowly, so they dropped the proposed Irish name for the new church they were building and used the English instead: Green Lake. My third great-grandfather, Dennis O’Brien (1819-1886) is the one who wanted to use the Irish. He and his brother John Jackson O’Brien (b. 1816) helped to build the church, and it’s still a thriving parish. 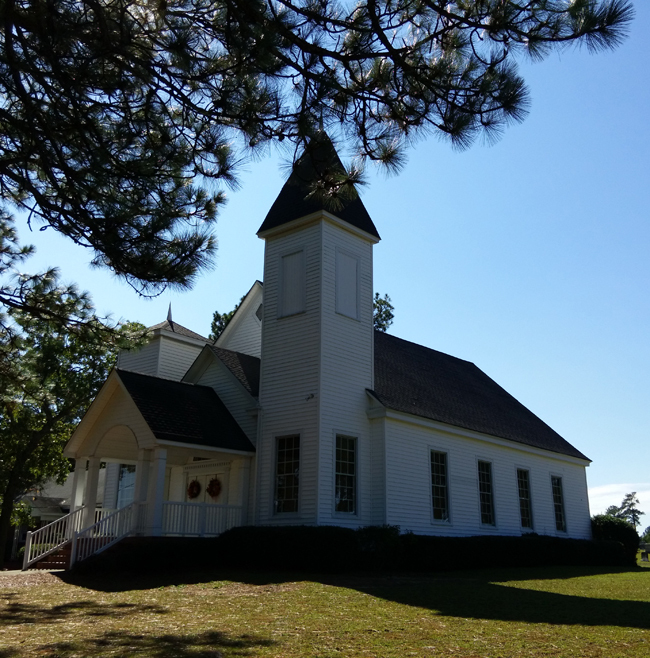 The church, now called Green Lake United Methodist Church, is located in rural Richmond County, North Carolina, just outside the county seat of Rockingham and near the little town of Ellerbe. The idea for the church came from a revival conducted by Rev. Lemuel Shell in 1854. The following year, Shell organized the church and purchased the land from R. J. Steele. The building was completed in 1856. Original contributors to the building included my fourth great-grandfather, Bryant Lovin (husband of Sallie O’Brien and uncle of the above-mentioned Dennis), who held the deed along with other trustees of the church. The church was named Green Lake Methodist Episcopal Church, South. About 30 years later, the building was remodeled, changing it’s round-top roof to the present form. More remodeling was done in 1919, including new siding and paint, and new and more comfortable seats. At the celebration for the completion of this remodeling, the church members decided to do this each year. To this day, the first Sunday of August is Homecoming. There have been numerous pastors over the years, changing every two to seven years, as is the custom of the Methodist Church. One of those was F. B. Brandenburg, whose daughter, Annie Laurie, married my second cousin twice removed William O’Brien McIntosh. Rev. Brandenburg also officiated at my parents’ wedding, but at a different church. Sunday School records still exist from 1919 that list family members: Dawkins, Gibson, Lovin, O’Brien, and Terry. The Green Lake Church Cemetery is the final resting place for some of my ancestors, including Dennis O’Brien. The O’Brien family holds their family reunion at Green Lake United Methodist Church in October of each year. The reunions began in 1917 or 1918 at the home of E.B. O’Brien (which is still occupied), just down the road from the church, and eventually moved to the church, probably after E.B. died in 1936. I remember going as a child. The family would gather in the sanctuary for a short meeting and then adjourn to the grounds where lunch waited on long tables with lots of fried chicken, potato salad, and cakes. 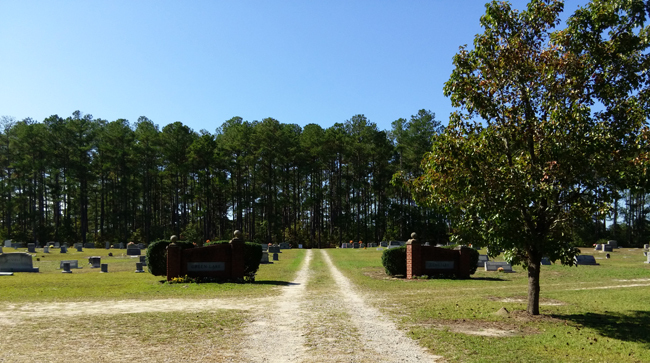 This entry was posted in 52Ancestors, Dawkins, Gibson, Lovin, O'Brien, Terry. Bookmark the permalink.